If your front door to this blog (TradeNetIdeas.com) was TradeNet’s website, then you no doubt noticed things are a bit different. Our home page has been modified. Changes to TradeNet’s website are designed for improved navigation and use. You’ll not see a dramatic difference in the general appearance, as we didn’t want to rock a boat that was sailing along quite smoothly. 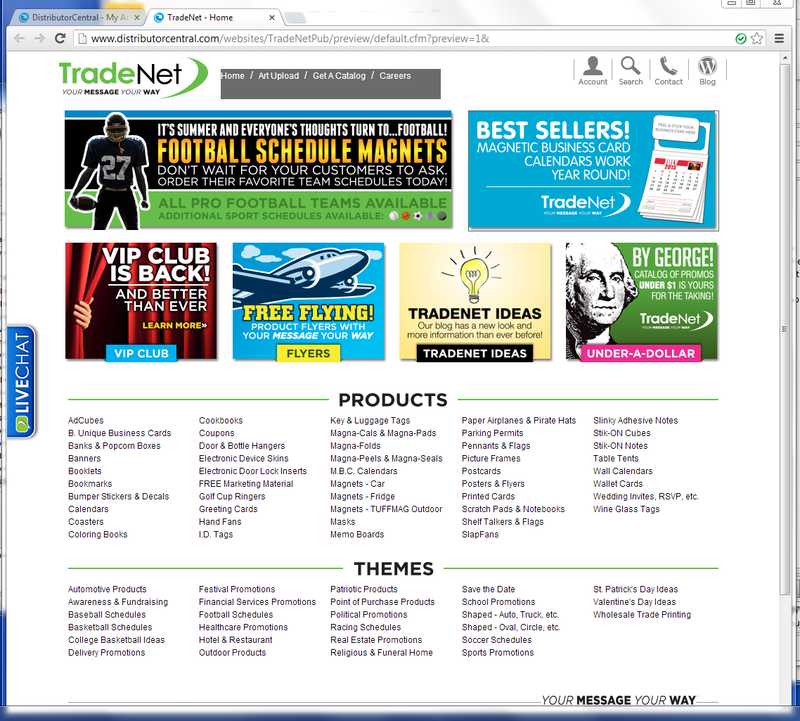 TradeNet’s “Products” and “Themes” remain prominent and in the same convenient index format. The biggest difference is the site is cleaner and the graphic modules have been updated. Two of the site’s most heavily used features – the login box and the search engine – are now in less-bulky drop-down presentations at the top of the page. Also noteworthy is the return of the VIP Club and added emphasis on this blog. The site will be updated on a regular basis with different graphics and promotions and blog content. Here’s a cool feature that’s in the works: TradeNet’s website will soon be available to distributors as a customizable template. Distributors can either use the template as their own website or as a direct link to TradeNet products. Stay tuned! ← 'Wisch'ing for the good!